Have you ever heard the saying, “bad things happened to good people?” Well unfortunately the saying is very true. In fact, bad things happen to bad people also, but it doesn’t necessarily make it right. There are many instances where there has been a mistake by a doctor or a healthcare professional where it appears that there was medical malpractice, but there were no successful claims. This can be extremely frustrating and unfair because there is always a victim and someone who seems to have gotten away with the harm caused. As being attorneys and legal professionals, this is unsettling to us as well because we want to be able to help everyone, but unfortunately sometimes that is not possible because of how laws are structured and in these types of instances, we are not able to pinpoint where and/ or how the malpractice occurred. As you may know, in some instances circumstantial evidence is enough to prove certain cases, but in negligence and malpractice cases, attorneys must be able to show facts and injuries that would not have occurred or that were increased due to the negligence, and sometimes that is just not possible. To demonstrate, I will provide a real scenario of instances where it appears that there was negligence, but there will likely be no successful malpractice claim. For the first scenario, imagine having severe stomach pain and going to your doctor. The doctor performs numerous tests and does extensive blood work and either diagnoses you with something minor and gives you medication for it, or the doctor tells you that there is nothing wrong with you. You go on for two months and the pain is still there. You go back to the doctor and they do more test, and they then tell you that you have stomach cancer. Your first reaction, like most people is that this is a clear-cut malpractice claim and that there will be a successful lawsuit because of this misdiagnosis. Realistically, this situation could go either way. If the hypothetical person went to the doctor and based on the evidence of the testing that was done at the first visit it can be proven that the person’s condition drastically changed in the timeframe from the first visit, the misdiagnosis and the accurate diagnosis, this is likely to be a successful malpractice claim because due to the misdiagnosis, the person is now worse than they would have been if they were properly diagnosed and given the proper treatment plan. On the other hand, if the hypothetical person was misdiagnosed like the example above with stomach cancer, and at the time of the proper diagnosis the cancer is in the same stage and area that it was at the time of the misdiagnosis, this is likely to be an unsuccessful claim. The reason that this claim would likely be unsuccessful is because although the person was misdiagnosed, they did not suffer any additional harm as a result, and the course of treatment would likely be the same if the cancer is in the same location and stage that it was when the first testing was done. As a great example of a recent case where someone was a victim of negligence and possible malpractice, Boxer Magomed Abdusalamov recently settled with the State of New York due to brain-damage that he received during a boxing match in November of 2013. Apparently, during the boxing match Abdusalamov took a blow to his face and despite him informing his handlers that he suspected that his jaw was broken, the boxing match went on. The match went on to ten rounds, and Abdusalamov’s opponent won. It was evident that something was wrong with Abdusalamov after the boxing match and that he had apparent head trauma, but the three ringside physicians did nothing to render proper aid to Abdusalamov. In fact, Abdusalamov and his handlers inquired about going to the hospital because he needed immediate medical attention and no one made them aware that there were two ambulances parked outside for instances such as this. Instead, a boxing inspector allegedly directed Abdusalamov and his handlers to a nearby intersection where they could find a taxi to get to the hospital. Surveillance footage has been released showing Abdusalamov on the corner of the street falling and vomiting. When he finally made it to the hospital, he immediately underwent emergency brain surgery, but unfortunately the damage to his brain was already done. Abdusalamov is pursuing a lawsuit against the three ringside physicians and there is a pending investigation as to the protocols of the New York State Athletic Commission. Additionally, Abdusalamov will receive $22 million in settlement funds from the State of New York for his injuries. Had Abdusalamov been given the proper medical care faster and proper interpretive services, it is extremely likely that he would not have sustained such severe brain damage. A spokesperson for the State Attorney General’s office made a public comment that this is the largest payment to ever be made in New York to a single personal-injury victim. Although he appears to be making slow progress, it has been reported that Abdusalamov is unable to walk or speak in complete sentences. It is important to note that although attorneys want to be able to help every person who seeks representation, sometimes cases must be turned down because of expertise and experience, attorneys are able to gauge if a potential client has a viable claim that will make it to trial or settle out of court after doing a thorough analysis of facts and/or having experts look at medical records and chronologies. 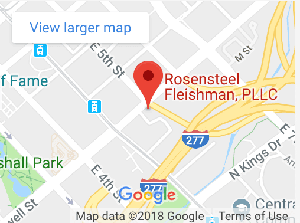 At Rosensteel Fleishman, PLLC, we strive to look at potential claims at every possible angle to see if recovery is possible because we truly want the very best for our clients. If you feel that you have been a victim of negligence or that medical malpractice has occurred to your detriment, please call our office at 704-714-1450 to schedule a free consultation with one of our experienced attorneys.